Key Difference: Pulsar is a rotating neutron star, that is highly magnetized and it emits a beam of electromagnetic radiation. Quasar stands for quasi-stellar object and that refers to any of the celestial object that is similar to a star in appearance but has comparatively high red shift. They differ in various characteristics like size, type, brightness, etc. In 1967, the first pulsar was discovered by Anthony Hewish and Jocelyn Bell at the Cambridge radio astronomy observatory. It was a discovery that was took place accidentally, as originally twinkling radio sources were being looked by a radio astronomy observing program. 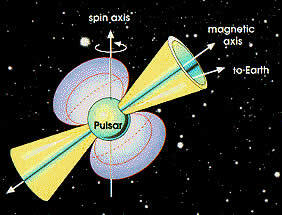 Pulsar is a type of neutron star. It stands for a pulsating radio star. It consists of three layers: A solid core, a "liquid" mantle, and a thin, solid crust. It is entirely made up of neutrons and emits regular pulses of EM radiation. Pulsars rotate very fast. These stars are the products of the explosive transformation of a massive star. The radio waves escape from a pulsar from the north and south magnetic poles. Quasars look like stars as they are extremely luminous at all wavelengths. 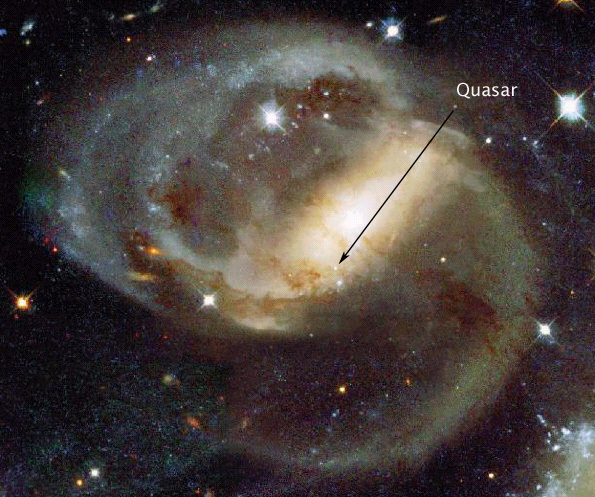 The first quasars were discovered in the 1960s, during the measurement of strong radio emission by them. However, later many similar objects were found who did not emit radio waves. They are believed to be in the center of active galaxies where black holes are residing. The large redshifts exhibited by them reveals that they are at great distances. It is likely to be believed that when material spirals into the black hole; a large portion of the mass of the material gets converted into energy. This energy is what we see in terms of quasar. One can be amazed by knowing that a single quasar can brighten an entire galaxy that consists of even a hundred billion stars. Currently more than two hundred thousand quasars have been identified. These are nearly 780 million to 28 billion lights years away from us. They differ in various aspects but they are also similar in many terms. Both are Celestial objects that often emit radio waves and also emit energy in the form of visible light, X-ray, and gamma-ray ranges of wavelengths. Extremely powerful and distant active galactic nucleus.